In order to help us continue to improve our service, we would be grateful if you could take the time to provide some feedback. Unless we first obtain your consent, your comments will be kept confidential and used only as part of Gough Square Chambers’ internal performance monitoring. 1. Overall, how happy were you with the level of service you received? 2. How easy to understand was the information we provided? 3. How well did we keep you up to date on the progress of the work? 4. Was the outcome of the matter better, the same or worse than expected (if applicable)? 5. Would you recommend Gough Square Chambers to a friend or colleague? Market leaders Gough Square are frequently described as a “go-to” set. In consumer law they will always be the chambers you turn to. Well known for having a deep bench of barristers. They provide a first-class service even when under significant pressure. Without doubt, the leading set for consumer law matters with eminent QCs, heavy-hitting mid to senior juniors and some brilliant rising stars. Consumer law is the lifeblood of this set. Its barristers are instructed on behalf of entities of every kind and are regularly involved in the most important cases of the day. The foremost chambers for consumer credit. Gough Square Chambers ‘remains the go-to set for all consumer law instructions’ (including consumer credit), and solicitors ‘would not go elsewhere for this type of work’. The set is best known for its ‘unrivalled experience and expertise in consumer credit’. Gough Square Chambers is a set steeped in consumer law that has a long history of acting in the field. 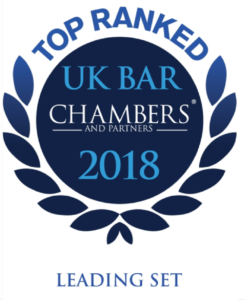 It houses an enviable bench of barristers who are experienced in the full spectrum of consumer matters, and who have particular expertise in consumer credit matters. © Gough Square Chambers 2019. All rights reserved.